Planning a trip to Malaysia? Don't spend hours on the web looking for cheap flights and hotels. 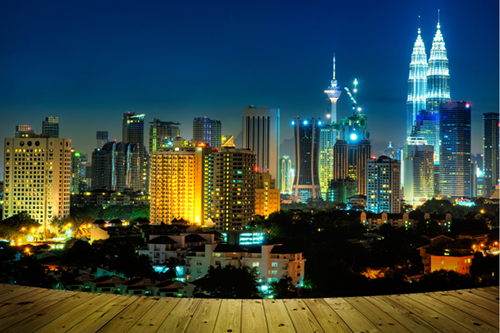 Use Webjet to find holiday package deals to Kuala Lumpur and choose the best one for your budget. Hassle-free Experience: All you need to do is get to the airport on time. Your flights and hotel booking will be handled by a professional. Save Time: Instead of spending hours searching for the best deal, let someone else handle the logistics while you plan all the exciting activities. World-class Service on a Budget: By purchasing a holiday package deal to Kuala Lumpur, you can take advantage of exclusive discounts and stay in some of the city's top hotels for less. No hidden costs: All your flights and accommodation will be paid before you leave for your trip to Malaysia. The Petronas Twin Towers are one of Kuala Lumpur's most recognisable landmarks. As one of the tallest buildings in the world, millions of people from around the world flock here for incredible views of the city below. One of the top attractions in Kuala Lumpur is the Batu Caves. Inside the natural limestone cavern are shrines and temples dedicated to the Hindu Lord Murugan. If you plan on visiting, make sure your knees and shoulders are covered as it is an important holy place for the locals. Standing at 23-metres tall, the Sri Mahamariamman Temple is the oldest of its kind in Kuala Lumpur. It's dedicated to Mariamman, the South Indian mother goddess and is extravagantly decorated with gold and precious stones. Get out of the city for the day and visit the Cameron Highlands. Located 150 km from Kuala Lumpur, the region is famous for its valleys of tea plantations, temples and winding hiking trails. The Aquaria KLCC is the largest aquarium in the world. It sprawls across 5,600 square meters and features a 90-metre underwater tunnel. It's home to over 250 different species of marine life including tiger sharks, blue rays, and sea snakes. You don't need to worry about a language barrier. English is spoken throughout Malaysia, and you won't struggle to find someone who understands you. Take the train. It's cheap with extensive routes around Kuala Lumpur. It will save you from having to haggle with taxi drivers and will keep your budget in check. Wear the right clothes if you plan on visiting any temples. Travellers will need to cover their legs with long pants or skirts and wear t-shirts with sleeves. There isn't any bacon in Kuala Lumpur. Malaysia is a Muslim country, and it's considered rude to ask for any pork items at restaurants or at your hotel's breakfast buffet. Practice your haggling skills. If you're going shopping at any of Kuala Lumpur's markets or even at the stalls by Batu Caves, bargaining is expected. The shop owners will always start high, so it's a good rule of the thumb to cut the first price in half and go from there.